In such missions, the submarine force conducts strategic deterrence, intelligence and surveillance, extended-range land attack, and insertion of special forces, in addition to forming the essential backbone of the Navy’s mission of sea control—the all-important, enabling task of maintaining command of the seas for the U.S. armed forces. 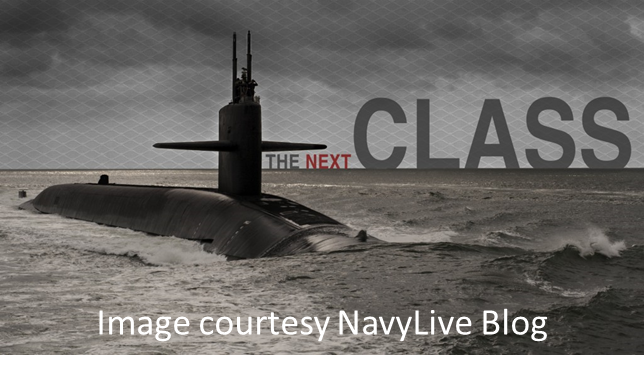 With the launch of the first of the Virginia class in 2003, the Navy’s position at the forefront of global submarine forces was set for the foreseeable future. This article draws extensively on five of the serious PRC professional publications concerned with naval warfare: 当代海军 (Modern Navy), 人民海军 (People’s Navy), 舰船知识(Naval and Merchant Ships), 舰载 武器 (Shipborne Weapons), and 现代舰船 (Modern Ships). Modern Navy is a monthly magazine published by the official PLAN newspaper People’s Navy, which is the daily newspaper published by the Political Department of China’s navy. Modern Navy offers articles that are often concrete and revealing of important capabilities, initiatives, and exercises. See, for example, 徐红明, 刘新民 [Xu Hongming and Liu Xinmin], “‘敌后’布 雷–中国海军某潜艇突破反潜编队训练 目击记” [Lay Mines “In the Enemy’s Rear Area”: An Eyewitness Account of a Certain PLAN Submarine Exercise Involving Breaking Through Antisubmarine Formations], 当代海军 [Modern Navy], no. 4 (2003), p. 38. 舰船知识 (Naval and Merchant Ships), a semitechnical monthly publication of the Chinese Society of Naval Architecture and Marine Engineering, has directly involved a retired PLA Navy rear admiral, Zheng Ming, formerly head of the PLA Navy’s Equipment Department, in its publication activities. See “我刊召开作者, 读者, 编者座谈会” [Our Journal Convenes a Discussion among Writers, Readers and Editors], 舰船知识 [Naval and Merchant Ships] (August 2006), p. 8. An active-duty PLA Navy admiral has contributed to the journal. See 杨毅 [Yang Yi], “谁 的潜艇今后说了算?” [Who Can Estimate the Future Number of Submarines? ], 舰 船知识 [Naval and Merchant Ships] (July 2006), p. 28. Shipborne Weapons and Modern Ships are both monthly journals published by the state-owned China Shipbuilding Industry Corporation (CSIC), China’s largest designer, manufacturer, and trader of military and civilian vessels and related engineering and equipment. In addition to these naval-oriented publications, 中国军事 科学 (China Military Science) is published by the PLA’s Academy of Military Sciences. 孙晔飞, 聂其武 [Sun Yefei and Nie Qiwu], “从美核潜艇出事: 瞧潜艇非战时事故规 律” [Looking at Patterns of Nonwar Submarine Accidents, from the Perspective of 15 Collins et al. : Chinese Evaluations of the U.S. Navy Submarine Force Published by U.S. Naval War College Digital Commons, 2018 82 naval war college review collins, erickson, goldstein, & murray 83 the U.S. Nuclear Submarine Incident], 当代 海军 [Modern Navy] (March 2005), p. 20. Among the many articles that examine the U.S. military buildup on Guam are台风 [Tai Feng], “中国需要反潜巡逻机马?” [Does China Need Antisubmarine Patrol Aircraft? ], 舰载武器 [Shipborne Weapons], no. 3 (March 2005), pp. 70–75; “美国陈兵关岛虎视台海” [U.S. Troops Deployed in Guam Vigorously Watch the Taiwan Strait], 世界新闻报 [World News Report], 15 February 2001; “美核攻击 潜艇欲驻关岛意何为” [Why America Stations Nuclear Attack Submarines in Guam], 信息日报 [NewsDaily], 3 November 2000, p. 22; “美国核潜艇关岛触礁” [U.S. Nuclear Submarine Strikes a Reef near Guam], 环 球时报 [World Times], 20 January 2005; Zhao Xiaozhuo, “The United States Does Not Want to Get Involved in a Crisis in the Taiwan Strait,” Huanqiu Shibao, 3 January 2005, FBIS CPP20050114000176; “核潜艇进 关岛: 美国居心叵测” [Nuclear Submarines Enter Guam: The U.S. Harbors Unfathomable, Evil Intentions], 中国国防报 [China National Defense News], 2 April 2002, p. B04. In May 2009, President Obama disclosed the inventory of America’s strategic nuclear arsenal: 5,113 weapons. This was done in an attempt to 1) bring attention to smaller states with developing nuclear agendas and 2) pressure Russia to disclose its own nuclear numbers. While the first objective is not quantifiable, and the second is partially complete (such as Russia cooperating with a recent Bulletin of Atomic Scientists study documenting worldwide nuclear arsenals), the startling revelation by President Obama brought to light one widely-known fact: the U.S. possesses a massive nuclear arsenal deployed in missile silos, bombers, and submarines around the world. In the fiscally constrained environment the U.S. currently resides, many institutions are questioning the efficiency of not only the quantity of nuclear weapons, but also the delivery methods of such an arsenal. 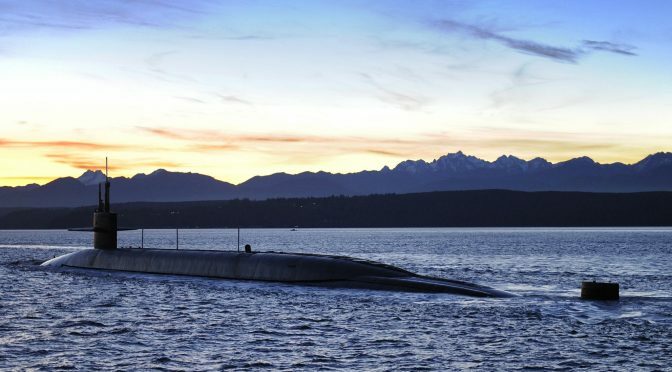 A recent Cato Institute white paper argued that the U.S. nuclear arsenal if deployed only in nuclear strategic ballistic missile submarines (SSBNs) would save the US $20b annually. The argument is predicated on a rivalry between the services in the early days of the Cold War to develop dominance in the field of nuclear weapon delivery (not unlike the Ballistic Missile Defense competition). Each service developed its own delivery method that was robust, survivable, and flexible to deliver a second-strike capability. Of the three delivery methods of the Nuclear Triad, the SSBN is the most advantageous when it comes to survivability and mobility. While some parties contend that disassembling the triad into a dyad or even monad eliminates the amplitude of U.S. deterrent strategy, all agree that the SSBN is the cornerstone of that strategy. That being said, the U.S. SSBN fleet is tired, with the first of 14 due to be decommissioned in 2027. 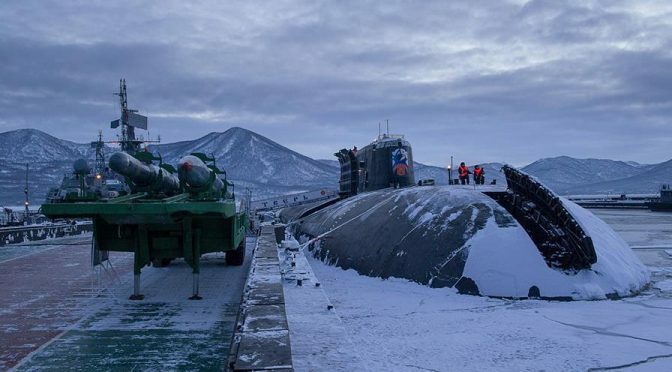 A replacement fleet needs to be designed, approved, constructed, and tested in the next 14 years if the strategic deterrence ability of the SSBN fleet is to be continued. Mr. Maxwell Cooper’s recent Proceedings article “The Future of Deterrence? Ballistic Missile Defense” correctly cites that the current SSBN replacement (SSBN(X)) estimates are staggering when compared with the rest of the Navy’s shipbuilding budget – roughly $5b per SSBN(X) while the entire budget is roughly $21b/year over the next 30 years. Mr. Cooper further speculates (perhaps correctly) that the cost alone calls for the truncation – if not complete elimination – of the SSBN(X) in favor of vast increases in the BMD realm built around the existing Arleigh Burke platform. He could not make a more dangerous assertion. SSBN(X) remains a vital portion of our national maritime strategy as well as our nuclear deterrence strategy. If the SSBN force were to retire without replacement, the U.S. nuclear arsenal would be down nearly 1600 warheads that cannot be easily translated to the other portions of the triad. Additionally, the leg of the triad that is most survivable and mobile would be arrested, forcing our strategic resources to rely solely on fixed sites and aging bombers. Neither of these prospects are ideal, nor appealing. The argument is akin to whether US naval forces should rely on hard-kill (kinetic munitions) or soft-kill (electronic warfare (i.e., chaff decoys, jamming)) for defense. The answer is both, as should be the nuclear deterrent forces. The U.S. Navy has signaled it agrees with this argument in the form of its FY14 budget. 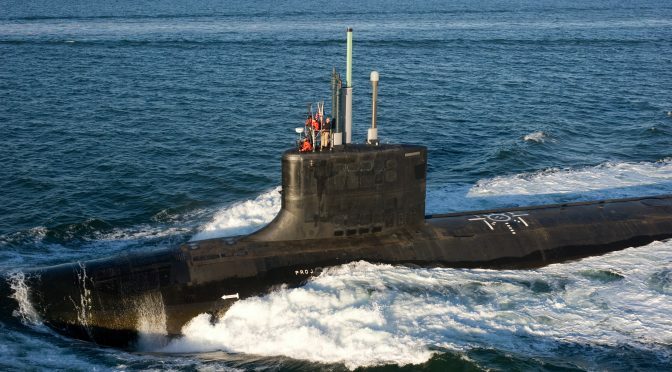 In an effort to keep forward movement for the Ohio Replacement Program (ORP – formally SSBN(X)), the Navy requested $1.1b for additional research and development with the end goal of procuring a replacement fleet of 12 SSBNs. The Navy has also reasserted its commitment to the SSBN force in a surprising tactic: compromise. As Mr. Hans Kristensen of the Federation of American Scientists pointed out, the U.S. SSBN force is doing more with less. While the number of boats has remained the same for years, the deployment numbers are less, yet the nuclear deterrence mission has remained unchanged. 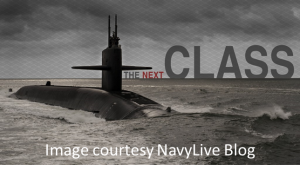 In a nod to this trend, the Navy – with guidance from STRATCOM – has agreed to a decrease of the current 24-tube count to a 16-tube count for the future SSBN. In addition to U.S. commitment to the next-generation SSBN force, their closest ally Britain has also started procuring its next ballistic boat, aptly named Successor that will carry its deterrent capability well into the 2040s. Grant Greenwell is the Director of Operations for CIMSEC since May of 2013. He is also a Surface Warfare Officer for the U.S. Navy and an active participant in American Mensa, the U.S. Naval Sea Cadet Corps, and the Surface Navy Association. His opinions do not represent the Department of the Navy, Department of Defense, nor his aforementioned affiliates.